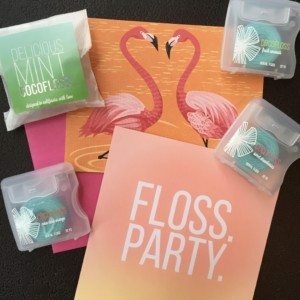 Happy National Flossing Day Sugar Fix Fans!!! As I am sure many of you saw on the news, there has been a lot of recent controversy over the need and benefit of flossing. Well I am here to debunk this, clear a few of those statements up, and to clarify that Dr. Jessica Emery and the Sugar Fix Dental team DO recommend flossing daily. The press release from the department of Health and Human Services and Agriculture said that the evidence from studies showed weak and unreliable evidence that flossing effectively removes plaque. When the American Dental Association and American Academy of Periodontology were contacted, they both continued to support the history-old recommendation of flossing daily to adequately clean the tooth surface and prevent gingivitis. 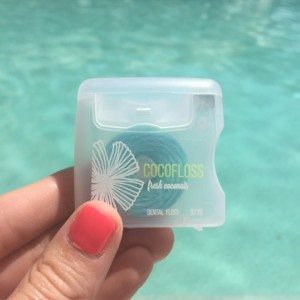 Even when you’re on holiday, flossing matters! The truth of the matter is that most people are taught how to floss as a child or adolescent and often it is not reviewed again. This falls on us as dental professionals to ensure that our patients are not simply flossing every day but effectively flossing. If proper technique is not followed, I, as a hygienist, agree that flossing does little to prevent plaque build up and gingivitis. 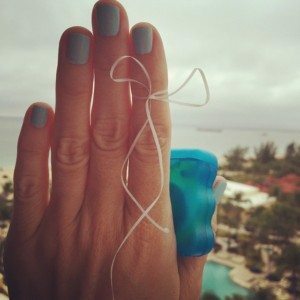 I can say without fail that when my patients use the proper flossing technique, even only a few times per week, I see an improvement in their gum health within a matter of weeks. What is the proper technique you may ask? First you want to take approximately 18in of floss, I tell my patients about an arms’ length. You want to wrap the floss 3-4 times around your right middle finger, yes middle finger not index, and the remaining floss on your left middle finger until you have about 2in of taut floss between your hands. The reason to wrap around your middle fingers versus your index is for better access and control around your teeth. You want to “seesaw” the floss through the contact of your teeth in order to prevent snapping and cutting your gums. You then utilize the “C” shape technique going on either side of the pointy tissue between your teeth hugging and forming a “C” around either tooth. You need to go up under the gums gently until you feel a slight resistance, sliding the floss up and down along the tooth surface. When you are going to access the back teeth you want to give yourself a little more floss and then guide the floss back with your index finger. This is especially important for men who have larger hands and often have a difficult time accessing the back teeth. Finally, do not forget to floss behind your very back teeth! Even though there is not an adjacent tooth, there is still a tissue pocket where plaque and debris can form or get stuck. Then repeat this process on each tooth, unwrapping the floss from your left finger and wrapping on your right finger as you move. For some people this may be a minor tweak to their technique but to others it may be a big change and may take a little time to get used to. Remember, flossing does not necessarily have to be associated with brushing. If the only time you have to floss is while you are watching the news, then by all means floss on the couch! So keep in mind on this National Flossing Day it is better to floss at any time than not at all!